Main Wildlife Attractions: tigers. Panthers, jackals, jungle cats, striped hyenas. The importance of the Kalakkadu Wildlife Sanctuary can very well be estimated from the fact that it is part of one of the 18 biodiversity hot spots that are to be found in the whole world. 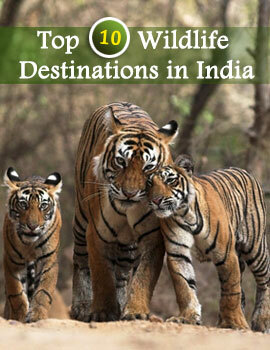 This Wild Life Reserve along with the Mudanthurai Wild Life Sanctuary is also part of a Tiger Reserve Project. There is variety and diversity in each and every feature of the Kalakkadu Wildlife Sanctuary including flora and fauna. The area is very rich geographically. The vegetation of the forests mostly comprise of Tropical wet evergreen and Tropical dry deciduous trees. Thorny plants are also to be seen. 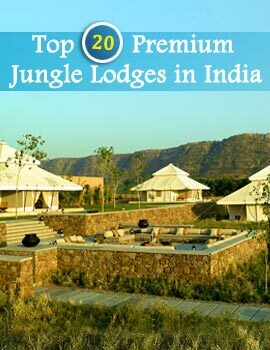 The dense forests are all for you to explore on your trip to this wild life sanctuary. Members of the animal kingdom that are to be spotted in the Kalakkadu Wildlife Reserve are Tiger, Leopard, Rusty Spotted Cat, Wild Dog, Sloth Bear, Elephant, Spotted Deer, Mouse Deer, Nilgiri Langur, Slender Loris, Bonnet Macaque, Lion tailed Macaque, Brown Mongoose, Malabar Giant Squirrel, Nilgiri Martin, Indian Pangolin, King Cobra, Python, Monitor Lizard, Flying Lizard and others. Some of these are rare and endangered species. The avian population of the Kalakkadu Wildlife Sanctuary, Tamil Nadu includes several rare breeds. The feathered creatures that you will sight in this wild life park are egrets, herons, jungle fowl, spur fowl, partridge, emerald dove, minivets, bee caters, quails, sparrows, owls, night jars, kites and paradise flay catchers. Covering an extensive area of 223 sq km, the Kalakkadu Wildlife Sanctuary is ideal for Trekking. Adventure lovers can trek along the 24 identified nature trails and the experience will surely be thoroughly enjoyable. However it needs to be kept in mind that prior permission of the Forest department is required for trekking here. Cheranmadevi Railway Station is located at a distance of about 20 km from the Kalakkadu Wildlife Sanctuary. Buses ply at regular intervals from the station. The nearest airport is at Madurai. The months between September and March are ideal for an exciting trip to the Kalakkadu Wildlife Sanctuary in Tamil Nadu.